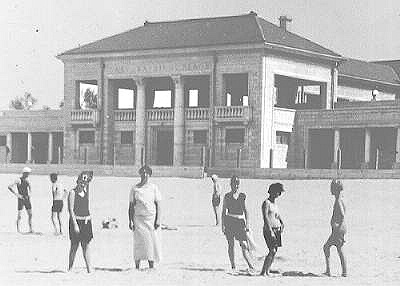 Miller has two buildings on the National Register of Historic Places, Miller Town Hall and the Gary Bathing Beach Bathhouse, known now as the "Aquatorium". By 1910 the small village of Miller was feeling the threat of annexation by the new town of Gary. Perhaps as a show of independence, the town board voted 58 to 0 in the summer of 1910 to build a town hall. The plans were quickly drawn up by J.J. Ver Plank, a Gary architect, approved by the board in September and the building was completed in April of 1911. 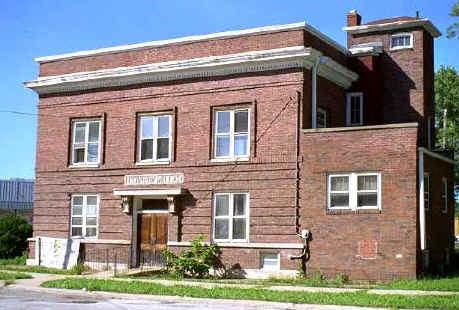 Miller was eventually annexed by Gary in 1918 and in 1920 the building was converted to a firehouse with the addition of the hose tower and a kitchen. It remained a fire station until 1975 when it was converted to a civic center. It was added to the National Register of Historic Places in 1978. A more detailed history is in the National Register's Inventory--Nomination Form. Click here to take a look at it. Soon after the city of Gary was founded in 1906 the new residents of that steel town discovered the beach as a retreat from the sweltering heat of the summer. In 1919, after the December, 1918 annexation of Miller, the US Steel "bought" 120 acres of land along the beach and gave it to the city of Gary to be used as a park. The National Park Park Service's site. The Register's listing of Historic Places in Lake County is also interesting.